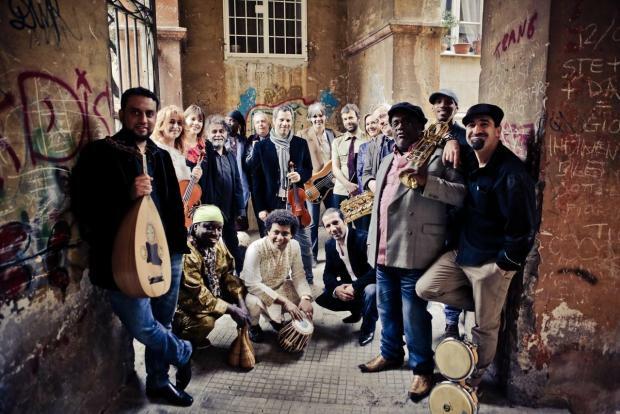 The biggest European multi-ethnic ensemble, composed of musicians from 10 countries, will be fusing their culture to speak the one language of music through a one-time orchestral concert in Malta in aid of the Emanuele Cancer Research Foundation. The Orchestra di Piazza Vittorio, which will be playing popular classical pieces with a unique ethnic twist, will be performing at the Manoel Theatre, Valletta, on April 24 to help raise money for cancer research in Malta. The foundation aims to not only provide the necessary responses after cancer diagnosis, but also promotes research, which will hopefully help combat cancer and its attendant risks. Departing from the traditional music of each musician’s country, the Orchestra di Piazza Vittorio fuses musical themes to reach a unique unprecedented musical experience. Memories and sounds, old and new, this orchestra will be playing with unfamiliar instruments to produce universal melodies – a voice for the world. The film, which tells the story of this very unusual musical ensemble, will be screened at the Istituto Italiano di Cultura, St George’s Square, Valletta, on April 23 at 6.30pm, where those interested will have the opportunity to meet the artists. Entrance is free Meanwhile, tickets for the concert are available at www.teatrumanoel.com.mt . This concert is being promoted by Fondazione Cultura e Arte and Fondazione Terzo Pilastro Internazionale and supported by The Malta Airport Foundation, Green Tube, Juanafil Consultants, Istituto Italiano di Cultura, Valletta Cultural Agency, the Malta Tourism Authority and the Ministry for Tourism.